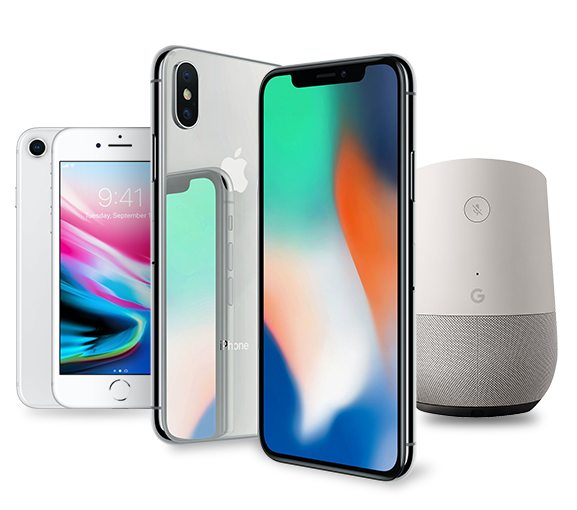 Free iPhone X/ iPhone 8/ Google Home! We have got the best gifts just in for the holiday. Box monthly orders greater than $30,000 / $20,000 / $10,000 are able to redeem one of our amazing prizes. This is a limited offer. Place your order by January 31st to get your free gift! SoOPAK reserves the rights to modify the offer at anytime. The following promotional terms & conditions (the “Promotional Terms”) are subject to the promoter’s general terms & conditions (the “General Terms”) and shall govern all participation in any promotional offers in respect of any services which the promoter provides. The promoter recommends a thorough review of both sets of terms before participating in any promotional offers. To the extent there is any inconsistency between these Promotional Terms and any of the General Terms, the terms in favour of the promoter shall prevail. All amounts referred to in the Promotional Terms are intended to be in the currency commonly used in the place of the paying customer’s billing address provided to the promoter. Unless otherwise specified in this Promotional Terms, the Canadian currency is deemed to be the Canadian Dollar (CAD) and the United States of America (U.S.) currency is deemed to be the United States Dollar (USD). For the purposes of all promotional offers, the promoter (hereinafter referred to as either “we”, “us”, or “our”) is the entity the paying customer (hereinafter referred to as either the “Customer”, “you”, or “your”) has contracted with under the Promotional Terms. We may at our absolute discretion restrict who may enter into our promotional offers for any reason. We reserve the right to request further information from you to determine eligibility. To be eligible to participate in any promotional offers, you must be legally entitled to use our services within your jurisdiction. Unless otherwise excepted in our promotional advertising, Customers, whether individuals, persons, entities and/or joint ventures, who do not regularly reside in either Canada or the U.S. are not eligible to participate in our promotional offers. 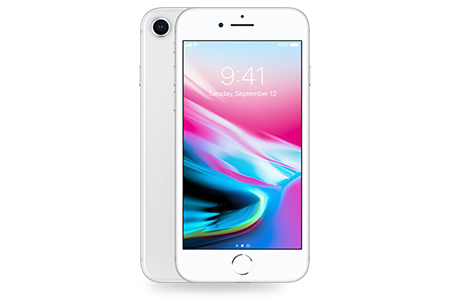 $ 30,000 will qualify for the Redemption Item of IPhone X 64GB2. Approve/confirm your order within 60 days such that we are able to place your order into production. For Cumulative Order(s) Offers, each included order’s value shall not include any applicable shipping fee, CAD sample fee, mock-up fee, artwork design service fee, and applicable taxes. Additionally, only order(s) that have been placed, fully paid for, and completely executed within the Cumulative Order(s) Period shall be included in the calculation of the cumulative value. In the event that we have multiple promotional offers occurring on or around the same time period (where fifty (50%) percent or more of each time period overlaps with the other time period), each Customer shall be restricted to participate in only one promotional offer. “Redemption Item”: shall mean a single article or unit in a collection, enumeration, or series of products which we offer as a prize of a promotional offer. “Reward”: shall mean a sum of cash or store credit or points which we offer as a prize of a promotional offer. Only one Redemption Item can be received for each promotional offer. When both a Redemption Item and a Reward are offered within the same promotional offer, the customer can only elect to receive one of the Entitlements. Where the Entitlements are Redemption Item or cash, they will be shipped or delivered to your billing address within approximately six to eight (6-8) weeks of completion and delivery of the relevant order(s). If the Entitlements could not be successfully delivered by the shipping or delivery companies, and as a result, the Entitlements are returned to us, you are responsible for contacting us to arrange picking up or further delivery of the Entitlements at your own expenses. If, upon such return of the Entitlements, you do not contact us within four (4) weeks, you are deemed to have voluntarily forfeited the right to such Entitlements. Where the Entitlements are store credit or points, such Entitlements will be delivered to you directly via the online platform. The Redemption Items of our promotional offers are provided in its current state. We are not responsible for any product defects nor are we responsible for any defects, damages, or loss caused by the shipping or delivery companies. We are also not responsible for any damages or harms caused, indirectly or directly, by the product and/or its defects. In the event that more than one Redemption Item or Reward or any excess payment is accidentally shipped or forwarded to you, we reserve the right, without prejudice to any other existing rights under our Promotional Terms, General Terms, and any applicable statutes, and to seek return of the foregoing. Any right to receive any Entitlements under this section is non-transferable. Our promotional Entitlements imply no affiliation on our part with or sponsorship or endorsement of the relevant third party manufacturer, supplier, provider or organiser. This is a limited time offer commencing on November 1st, 2017 (the “Commencement Date”) and terminating on January 31st, 2018 (the “Termination Date”; this whole period referred to as “Promotion Period”). Unless otherwise stated in our promotional advertisements, the Promotion Period shall commence at 12:01 a.m. (Eastern Standard Time) on the Commencement Date and shall terminate at 11:59 p.m. (Eastern Standard Time) on the Termination Date. Where no Promotion Period is specified above, the relevant promotional offer will commence on the day that it is displayed on our website platform and will end when it is discontinued on our website platform. Notwithstanding this section 5, we reserve the right to modify, decline, or cancel any of our promotional offers at any time. You acknowledge that we are not responsible for any loss, costs, or damages as a result thereof. Additionally, events may occur that result in us extending, refusing, reclaiming, cancelling, terminating, modifying or suspending any promotional offers and/or any Entitlements at any point and for any reason. These may be due to a third party's illegal activity, technical difficulties and/or any other reasons beyond our control and accordingly you acknowledge that we shall bear no liability as a result thereof. Unless otherwise permitted by us, if you return any of the products related to the order(s) which were used to determine your qualification for our promotional offers, you must return the applicable Entitlements to us in the condition that it was first delivered to you. Your return request will not be processed and will instead be placed on hold until we have received the applicable Entitlements. 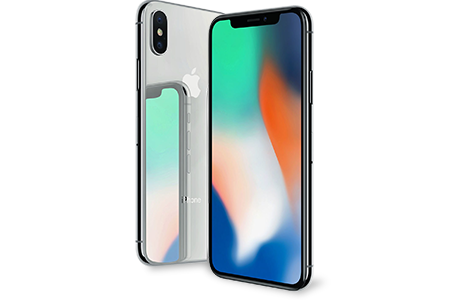 Redemption Item, IPhone X 64GB2, has a Deemed Value of CAD$1,490.47/ USD$999. and if this value has not been filled in, the value of the Redemption Item will be determined by the fair market value reasonably determined by us. In accordance with subsection 1(c) and subsection 2(d), the Deemed Value shall be in the currency commonly used in the place of the paying customer’s billing address provided to us. For other Rewards, the value shall be reflected by the Reward itself. Customers, whether individually or acting in a group, will be found to be in breach of these Promotional Terms if, at our sole discretion, we have reasons to believe that a promotional offer has been abused, manipulated, or that irregular, fraudulent, collusive or illegal activity has occurred. In the event that any of the Promotional Terms or General Terms are breached by you during one of our promotional offers, we reserve the right to take such action as we deem appropriate and in our absolute discretion, including but not limited to, disqualify you from that promotional offer, reclaim the Entitlements granted, and refuse your participation into all future promotional offers. Failure to enforce any of our rights does not mean we have waived or released such rights. 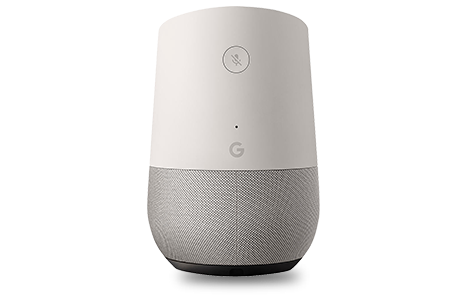 By participating in our promotional offers, you consent to the use of your name, screen-name, final product images, order quantity, and geographical location for advertising, promotional and news purposes without additional compensation, except where prohibited by any applicable laws of the Province of Ontario. Our decision in all promotional offers is final. In the event that you initiate a pending action against us, we reserve the right to withhold any Entitlements to you until the resolution of any dispute/claims. We disclaim any liability for inaccurate information, whether caused by the website, user's equipment used to view our promotional offers, or by human or technical errors. We accept no responsibility for the failure of any third parties to fulfil their contractual obligations in relation to any of our promotional offers. No third party shall have a right to enforce our Promotional Terms against us. In the event that any terms or conditions contained in these Promotional Terms, in whole or in part, be declared invalid, illegal or unenforceable by a court or other lawful authority of competent jurisdiction, these Promotional Terms shall continue in force with respect to the enforceable terms or conditions, or part thereof, and all rights and remedies accrued under the enforceable terms and conditions shall survive any such declaration, and any non-enforceable terms or conditions shall to the extent permitted by law be replaced by a term or a condition which, being valid, comes closest to the intention underlying the invalid, illegal and unenforceable terms or provisions. The division of these Promotional Terms into headings/sections and subsections are for convenience of reference only and do not affect the construction or interpretation. Our Promotional Terms shall only be amended, altered or qualified by us in writing. Except as may be expressly provided in the Promotional Terms or the General Terms, you may not assign such any of your rights or obligations under these terms without our prior written consent. These Provisional Terms shall be governed by and construed in accordance with the laws of the Province of Ontario and the federal laws of Canada applicable therein.